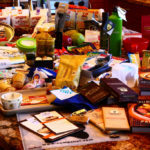 Friends and family frequently ask me: What motivated you to start writing a food blog? With conviction, I’ve always answered that it was a spontaneous whim on a Sunday afternoon, though the seed was probably planted during our fabulous trip to Italy in 2008. But now that I’ve spent the last few days thinking about Julia Child as we approached what would have been her 100th birthday, I realize I have not been completely accurate. 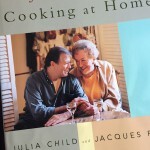 In 2009, our family went to the movies to see Julie and Julia, the movie depicting both Julia Child’s life and Julie Powell, who cooked and blogged her way through Julia’s cookbook. With some reticence, the family humored me and came along. Well we all loved it, especially Meryl Streep’s portrayal of Julia Child. We were entranced and laughing with joy over Julia’s determination to succeed at Le Cordon Bleu as she chopped those onions for hours on end, her face after she tasted the sole meuniere for the first time after she arrived in Paris, or her boisterous hello when she entered the room for her first day of the professional cooking classes she begged to join. Watching and enjoying every minute of that movie with @dormantchef and the kids, especially the Julia Child portions is what really propelled me to start my food blog a few months later in February of 2010. Not because Julie wrote a blog, but because Julia has been part of my life since I was born and her presence via Meryl Streep on that movie screen finally unleashed my passion for food with such gusto that I just couldn’t keep quiet about it anymore. 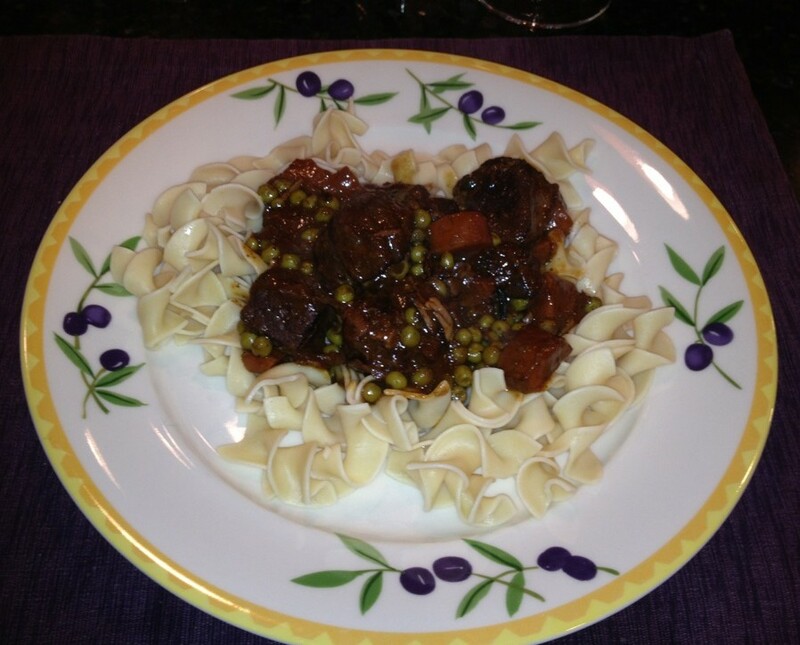 “A couple weekends ago, I decided I would make Alan (my little Francophile) Boeuf Bourguignon. 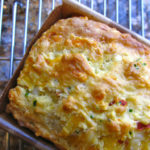 I looked a couple recipes up online (Julia Child and Jacque Pepin plus a few others I ignored). I more or less followed Julia’s recipe (though I left a step or two out, it was just too fussy) and added some le Soeur peas that Alan picked up. I used more burgundy than Julia asked for, since Jacque’s recipe had no stock in it at all and we both loved it. I was darn proud of myself. Last Sunday we went to a little French bistro after a movie and Alan had the Boeuf Bourguignon and although it was very good, I liked mine better. 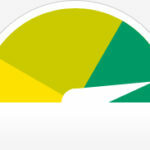 And I have to say that it is due, in large part, to you and your blog. I have enjoyed it for these two years and have been at least moderately inspired to cook more (or at least be more interested in it). 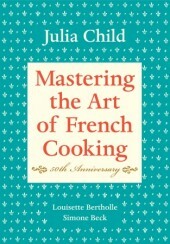 I suspect, when Julia wrote Mastering The Art of French Cooking, it was precisely my friend’s boeuf bourguignon that she was hoping her tireless efforts and detailed recipes would inspire others to create and it still is, to this day. As it turns out, episode 1 of Julia Child’s TV show, The French Chef, was about Boeuf Bourguignon. I watched it yesterday and learned several new things – how to tell if a mushroom is fresh, that high heat will keep mushrooms dry so they can brown, and how to tell when the butter is hot enough to accept the mushrooms to create a nice seer. Thanks for the cooking class Julia. I did, by the way, watch her show on PBS when I was young. The first episode aired the year I was born – 1963. And tonight, in my mind, if not in reality, I will be preparing boeuf bourguignon for dinner, and pouring a full-bodied robust glass of red to enjoy with it. Bon Appetit. What do you remember most fondly about Julia? What are you doing to celebrate her memory? Thanks for such a wonderful information I am looking forward to read your informative post.Thank you so much for letting me be a part of your magazine sweet lady!! very honored! 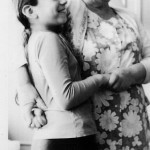 Julia Child is wonderful!! 🙂 I’d like to try the beef dish you have here on the blog – I’ve always been a bit intimidated of her recipies, but I’ll have to give it a shot! I have my Grandmother’s copy of Julia’s cookbook and cherish it. You’ve inspired me to pull it out and get cooking! You’re welcome! Jealous of your grandmother’s copy – wow! That’s a keeper! Did you save me a piece of that blueberry pie? 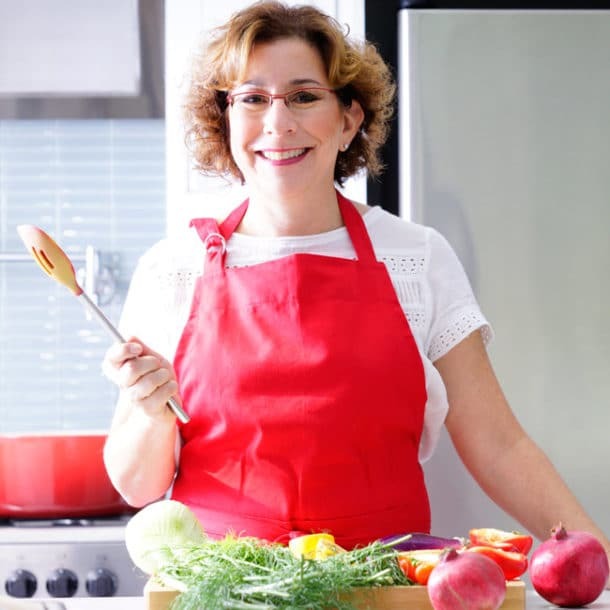 Let me know what Julia inspires you to cook. I love your tribute, Beth! I saw Julie & Julia with my sister-in-law and when we left the theater we went straight to a gourmet shop for cheeses, wine, chocolate and other treats and enjoyed a feast. Definitely one of my favorite movies, and frankly I think the whole movie could have been Meryl playing Julia…she was fabulous. My husband and sons enjoyed it, too, when I saw it again with them. This Boeuf Bourguignon looks divine! As soon as it cools down (rare to say in Seattle!) I will be making it. And I’m delighted that you made a clafouti! Hooray for Julia! I am really enjoying reconnecting with Julia and hope the conversations and learning around her works continues for another 100 years! What an impressive dish to tackle! It looks delicious. Isn’t it though – especially for one who doesn’t really consider herself much of a cook. She obviously has skills! What a wonderful post, Beth! Enjoy your celebratory dinner this evening! Found a bottle of red from France and managed to make a clafoutis ala Julia for dessert with inspiration from Blue Kale Road as well! My absolute favourite thing about Julia is hads down the fact that she came to her passion so late in life. Unstoppable. And yes, that beef bourguignon is exactly what Julia would want her recipes to be used for. As someone approaching the 50 mark, I couldn’t agree with you more Mardi!